I’m told that I can post pics as well on there, so bear with me whilst this old codger gets up to speed in this social networking world of wonders. At the end of this jaunt (ends with The Big Stooshie :-) ) I will compile all the posts into a blog and post higher res pics if I have them (incl. the who-are-you pics). 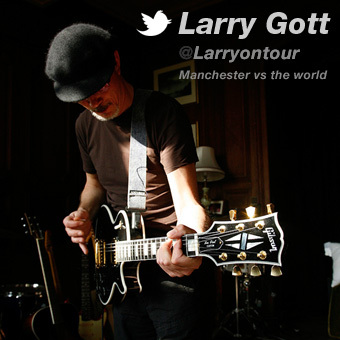 So tell all yer mates to follow @Larryontour on Twitter and wish me luck on my maiden voyage.